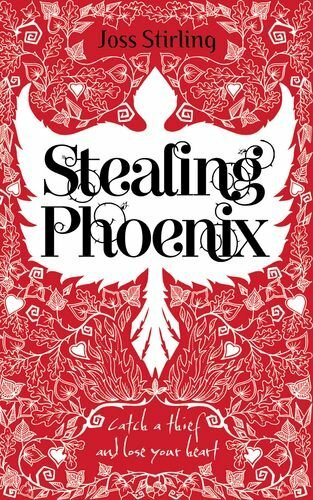 As part of the Stealing Phoenix blog tour, I am delighted to have Joss Stirling on the blog to discuss her fantasy dinner party, my first guest as part of a new feature on Serendipity Reviews. 1. Michael Caine. I’ve just read his autobiography, From The Elephant to Hollywood, which is written exactly how he speaks. I think he would be very entertaining company, as he seems to have known or worked with all the greats from the last few decades (and is one himself). I’d be torn between getting him and guest No 5 to make the announcements. Perhaps they would take turns? 2. Annie Lennox. What a voice! She has also been in the music industry for quite a few years now and mixed that with an interest in international women’s rights – I’m sure I’d find her fascinating. 3. Next to her, John Williams, the granddaddy of film music who has worked with most of the great directors. I hope they would get on like a house on fire, and who knows, maybe come up with some interesting collaborations? 4. J K Rowling would do very well next to John. I’ve been impressed how she has kept her head in the madness that must be her life and imagine she must be very interesting to talk to away from the cameras. 5. Alan Rickman at her side. They already know each other, of course, but Alan appears to be in all nearly all my favourite films, including the cleverest spoof ever, Galaxy Quest. And who can forget him in Sense and Sensibility bringing life to the thankless role of Colonel Brandon? I can hear myself just pleading with him to say something so we could all relish those Rickman tones! 6. Helen Mirren. Perhaps to be noted for being one of the few great British actors who didn’t get cast in a Harry Potter movie. I had the privilege of meeting her once when she helped out on an Oxfam campaign and appreciate her breadth of interest in current affairs as well as her acting skills. 7. Barack Obama – OK he might be a bit busy these days but I really enjoyed his Dreams of my Father so if he could forget about being President for an evening I’d enjoy hearing more about his life. I would make sure he knew it was no Tea Party before he arrived. He deserves a night off. 8. Graca Machel, campaigner for women’s rights in Southern Africa and former Minister of Education in Mozambique – an inspirational figure to us all for what she has achieved in Africa. Some of my most formative times have been spent on visits to Sub Saharan Africa. 9. Nelson Mandela. I have a feeling if we had him at the table, everyone would be thrilled! Surely the great man of the Twentieth Century? 10. Aung San Suu Kyi. I can’t think of anyone else more suited to taking the seat on Nelson’s other side. She is truly an inspirational woman. I’d like to feel we could collectively encourage her to carry on her brave stand against a terrible regime. 11. Peter Jackson, film maker. I loved his treatment of The Lord of the Rings and he seems a really nice guy too so I’d like him to tell us how things are going on The Hobbit. Oh, and, er *cough*, if he has a gap in his schedule, how about making a film of one of my books…? 12. Stephen Fry. He is a friend of Peter so would be comfortable next to him and surely everyone needs Stephen around to kick off the conversation? Amazingly knowledgeable and witty – what’s not to like? W Well, I for one would like to squeeze in between JK Rowling and Alan Rickman! Thank you Joss for sharing your delightful dinner party guest list with us. 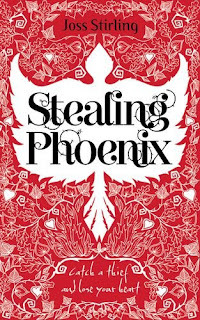 Stealing Phoenix is available to buy now from all major book shops. If you would like to know more about Joss Stirling, then please check out her website here. You can also follow her on Twitter at @jossstirling. Next stop on the blog tour is Teenage Fiction For All Ages tomorrow. I think I'd be fighting you for that place at the table Vivienne! Sounds a great line-up of guests, but I think I'd find it a little daunting lol. I'd go to this party too and I'd be fighting for that spot by J.K. Rowling too! Excellent post! Wonderful new feature, Vivienne! Your guest author made some great choices. I'd love to break bread with your guests. May I join them for dinner, too? I'd love to attend that dinner party! Meeting JKR, Alan Rickman and Stephen Fry would reduce me to a pool of fangirling goop, I think :P. Thanks for the post!